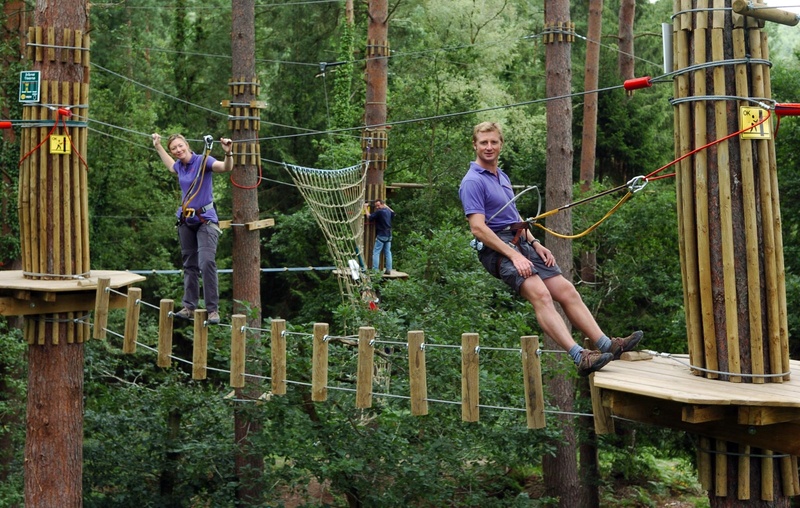 Go Ape, the award-winning high wire forest adventure company, is celebrating its millionth customer this month by donating £17,000 to local charities and good causes – that’s £1,000 for each of its 17 courses located at forests across the country. 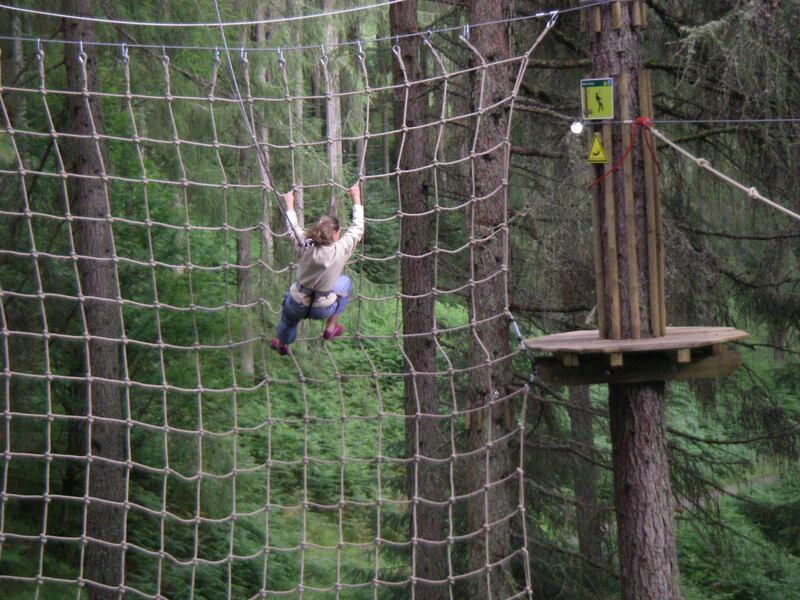 June 15th 2008 sees the millionth customer swing through a forest to experience Go Ape, the outdoor adventure challenge that has become something of a UK phenomenon since its conception in 2002. To share this significant landmark and support the local communities surrounding each site, all Go Ape courses throughout the country will hold special cheque presentations to valued volunteer groups and community charities, handpicked by Go Ape course teams. Approximate pre-bookings predict that the millionth customer will be in Thetford Forest, where one lucky gorilla and his or her family will receive a surprise welcome, complete with Go Ape gifts and free tickets to take to the treetops for a year. Established by husband and wife team Tristram and Rebecca Mayhew [pictured], who walked away from comfortable corporate lives to take on the challenge of creating the Go Ape concept, the brand is built on encouraging others to live life more adventurously. Three hundred jobs have been created and the company, which has a turnover in excess of £6 million, is on target to open 40 courses by the year 2012. It is perhaps these values that have amassed a million-strong following – testament indeed of how this company is successfully inspiring our nation to venture into adventure. In addition to Go Ape’s Thanks a Million campaign, the company has also joined forces with The Prince’s Trust this month to promote its Million Makers; an enterprise challenge that will see corporate teams compete to raise £1 million so that The Trust can support more young entrepreneurs in 2009. Go Ape will be hosting action-packed launch events to help generate camaraderie and build team spirit as they embark on their quest. 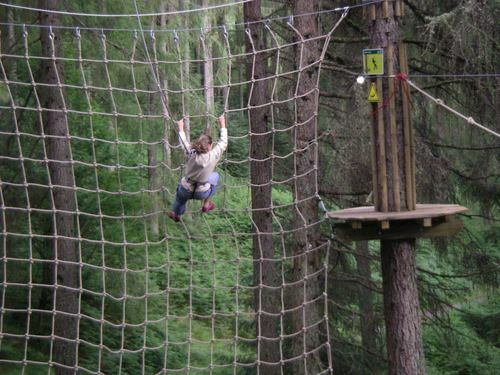 Go Ape is also launching six new sites next year; the first at Margam Country Park in Wales will open in March 2009, while plans are already underway for expansion across the water to Ireland. 9. Wendover Woodland Park, Bucks. 12. Forest of Dean, Gloucestershire. The £17,000 Thanks a Million donation is part of the £40,000 charitable contributions made by Go Ape annually, together with £35,000 worth of free tickets given to local groups and communities across the UK. Go Ape supports and is a sponsor of the Campaign for Adventure, which seeks to show that life is best approached in a spirit of exploration, adventure and enterprise. Jerome Mayhew is regularly invited as a respected keynote speaker on such subjects. Acorns Children’s Hospice * Buxton Mountain Rescue Team * Coniston Mountain Rescue Team * Crowthorne Old Age to Teen Society * Demelza House Children’s Hospice * Devon Air Ambulance * East Anglian Air Ambulance * Forest of Dean Children’s Opportunity Centre * Hawkshead First Responders * Keswick Mountain Rescue Team * Ladybirds pre-school * Norley Church of England County Primary School * Phyllis Tuckwell Hospice * Round Table Children’s Wish * Scarborough & District Mountain Rescue Team * Search & Rescue Dog Association * Staffordshire Wildlife Trust * Terry Marsh Wildlife Rescue Centre * The Foundation for the Study of Infant Deaths * Trossachs Business Partnership. Minimum age 10 years, minimum height 1.4m (4ft 7in) and maximum weight of 20.5 stone. Under 18 year olds must be accompanied by a participating adult. One adult can supervise either up to two children (where one or both is under 16) or up to five 16-17 year olds. For further information, images and press passes or to arrange an interview with the company directors, please contact Semra Hopovac at Honey PR. This press release was distributed by ResponseSource Press Release Wire on behalf of Honey Public Relations in the following categories: Children & Teenagers, Men's Interest, Health, Leisure & Hobbies, Women's Interest & Beauty, Environment & Nature, Business & Finance, Travel, for more information visit https://pressreleasewire.responsesource.com/about.